Everyone loves a cute love story, and nothing is cuter than the attachments and relationships we form in high school especially if they blossom and become fully-formed relationships in adulthood. Of course, relationships implode and end all the time, so it’s a rare sight to find one that lasts especially when it began as far back as high school. Below is a list of famous celebrities who were high school sweethearts and managed to make something of the relationship as long as they could. Sarah Heath and Todd Palin began dating as teenagers while they were at Wallisa High School. They went everywhere together and were rarely seen part until they graduated high school in 1982. Their relationship kept blossoming and six years later they exchanged vows in front of a judge in Alaska in Palmer County Courthouse, choosing a small and intimate marriage ceremony over a grand affair. The lovebirds went on to have and raise five children together. When Sarah became governor of Alaska, Todd stood proudly at her side as “First Dude”. Ali and Paul (before he became the man we know as Bono) met while they were in high school studying in Dublin at Mount Temple Comprehensive School. She was 12, while Paul was 13 at the time. They became really close friends then he started chasing after her to be his girlfriend, but Ali kept turning him down because he had a reputation of being a player. Unfortunately, Paul’s mother died and their dynamic changed. Ali stepped in to care for him and they were soon head over heels in love and heading for the altar. 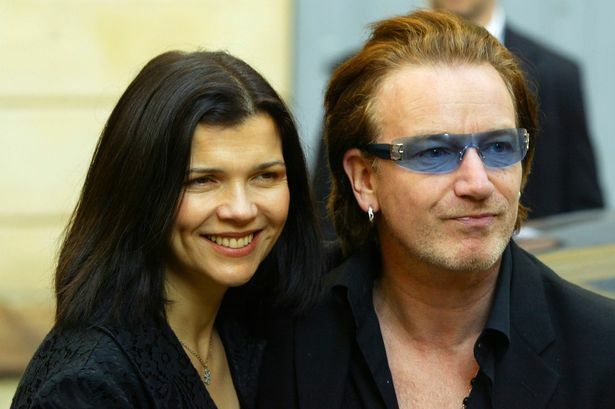 The couple got married in 1982, after Paul became Bono, frontman for the famous rock band U2, and popped the question. You can’t leave them out of any listing of celebrities who were high school sweethearts. Steph Curry is one of the most renowned and talented basketball players the game has ever seen, and his wife, Ayesha is a famous chef. The couple has known each other since they were barely teenagers. They belonged to the same youth group in a church in North Carolina, and although they really had the hots for each other, Ayesha wasn’t allowed to date at the time so they did nothing about their attraction. It wasn’t until she moved to Los Angeles to become an actress that they began seriously seeing each other. They said “I do” in 2011 and have been the power couple others look up to since. They have three kids together and are one of the most inspiring celebrities who were high school sweethearts. This pop star and his beautiful wife Paula did not attend the same high school, but they still found their way to each other when they were teenagers. Robin Thicke met Paula Patton at a teen nightclub, owned by the Married… With Children star David Faustino, called Ballistyx in Los Angeles, where all their high school friends regularly hung out. Ever the charmer, Robin spun a web of attraction over Paula after he asked her to dance and sang Jungle Fever by Stevie Wonder the entire time. Two years later, they were inseparable. Robin and Paula went from high school sweethearts to engaged, married, welcoming a son, and then separate after trouble sent their long love affair crashing. Snoop Dogg and his wife Shante Broadus are among the celebrities who were high school sweethearts. Snoop met his future wife while they were both students at the Long Beach Polytechnic High School in California. Shante and Snoop, hit it off and soon became inseparable, nurturing their love through high school and into adulthood. The sweethearts for married sometime in 1997, but they soon separated in 2004. However, their love brought them back together and they decided to try again. 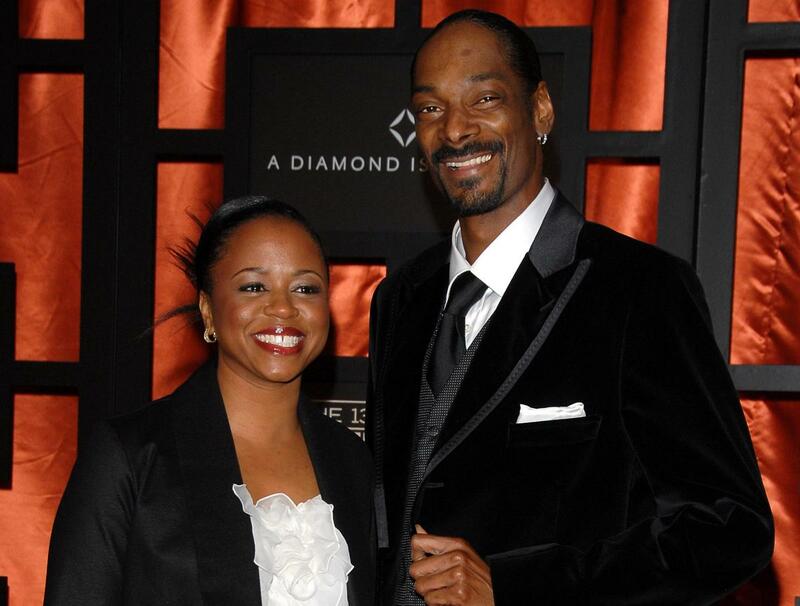 Snoop and Shante renewed their vows in 2008 and have been together ever since. Their marriage has produced three children. Everyone who pays attention to hip-hop knows the story of Eminem and Kimberly’s passionate, impossible, and life-altering love affair. The pair met when the rap legend was 15 and Kim who was 13 at the time and her sister moved in with Em and his mom. By the time they were in high school, Kim and Eminem were vehemently in love. The young lovers gave birth to a daughter, Hayley in 1995, and continued to date on and off before tying the knot in 1999. The marriage hit the rocks two years later and they filed for divorce, then renewed their vows in 2006 only to get divorced again four months later. The basketball icon and superstar, Lebron James and his very successful wife Savannah Brinson have been lovers since they were students at St. Vincent-St. Mary High School in Akron, Ohio. Although Lebron and Savannah have been together very long, they didn’t get married until recently when they exchanged vows on September 14, 2013, two years after the basketball star got on bended knees and asked her to be his wife. The couple welcomed their first child Lebron Jr. in 2004. Their second child was born to them in 2007, a lovely boy they named Bryce Maximus. The family continues to live happily together with no sign of a crack anywhere. Certainly, these two must always be counted among celebrities who were high school sweethearts. Although Mitt and Ann were not exactly in the same high school, their schools were within walking distance. Mitt Romney attended Cranbrook School while Ann was a student at Kingwood School, and they fell in love with each other after their oaths crossed and decided to start seeing each other. They maintained their relationship throughout their teen years, and they became engaged after Mitt, who was ahead in class graduated in 1969. Shortly after, they hitched the marriage train when she turned 18 and Mitt was 22. The lovebirds had five wonderful children who are all grown up now and share a total of 18 grandkids that Mitt and Ann adore. The superstar baseball player Mariano, met Clara while they were both in high school in Panama. They knew from the minute that they started talking that they belonged together and wanted to spend the rest of their lives wherever the other person was. 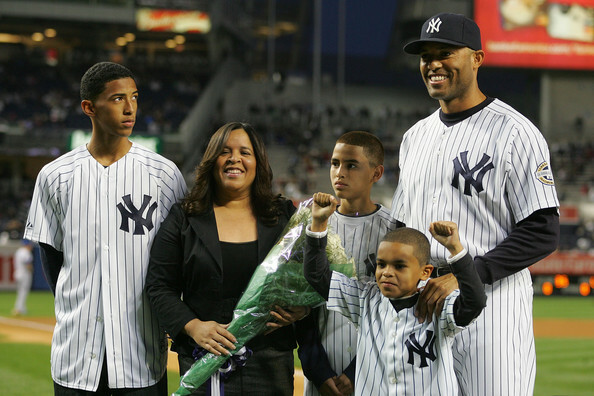 When Mariano turned 22, he put a ring on Clara’s finger and they exchanged vows. The couple went on to welcome three children into their family. These two – Russell Wilson and Ashton Meem – are another set of famous celebrities who were high school sweethearts. They met while attending the same elementary school and quickly grew fond of each other. They began dating steadily, throughout high school and long after graduation until they decided to get married in 2012. Unfortunately for them, the rings jinxed things and they announced their intention to call off the marriage a little over two years later. They did not have any children, only three dogs. For many years, singer and rapper LL Cool J has stolen the hearts of young girls and women all over the world, but none quite as thoroughly and fiercely as Simone Smith’s. The two have known each other since they were introduced to each other by Cool J’s friend who was also Simone’s cousin. They instantly connected and began dating. The relationship lasted throughout high school, following them into adulthood until they tied the knot in 1995 after 8 very fulfilling years of dating. The couple has four adorable children together. History will always remember Jon Bon Jovi as one of the most beloved rock stars in America. Although he resigned during the 80s, his popularity has hardly waned amongst the music loving public. The renowned musician met the love of his life, Dorothea Hurley, while they were still parading the halls of their high school. They began dating and stayed together even after Jon Bovi became a superstar. 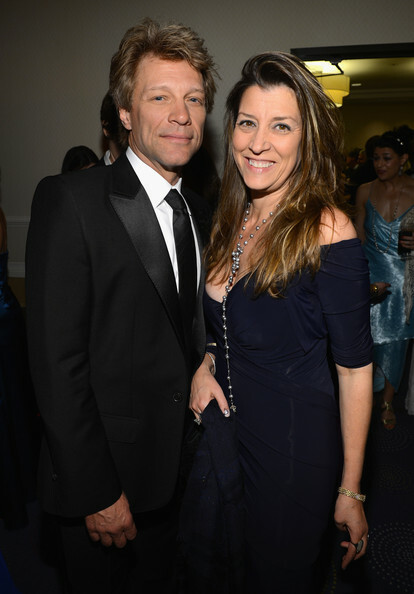 While on tour in 1989, Dorothea and Bon Jovi tied the knot in a private and small ceremony with only family and friends present. Their love has blessed them with four children, and the high school sweethearts are as strong as ever. 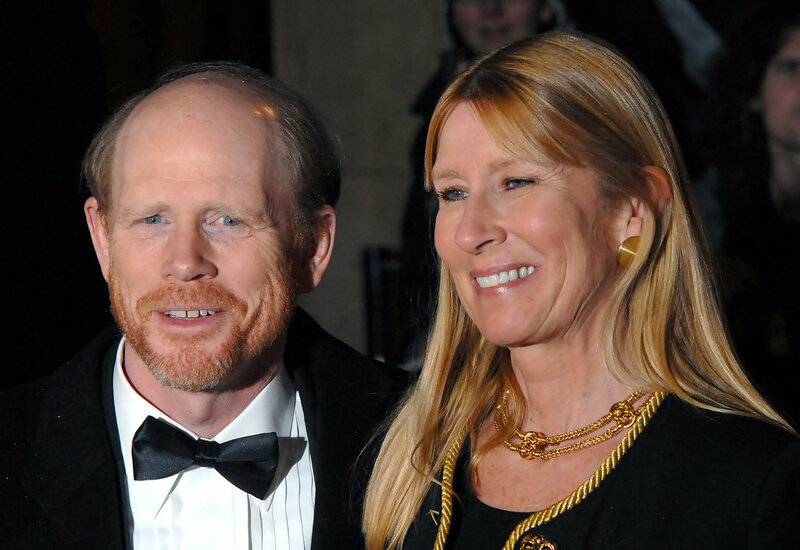 Ron Howard and Cheryl Alley caught the love bug while they were still in high school in Burbank, California where they both attended John Burroughs High School. Shortly after graduation, the couple tied the knot in an intimate wedding ceremony in 1975 when they were 21 and 22 respectively. The lovestruck couple went on to have four beautiful children together. One of their kids seems to have fallen for the allure of show business like his father and is steadily building a name for himself in the movie industry. The famous rapper met his future wife Aisha when they were both in high school and they became lovers almost immediately. Their relationship lasted throughout high school and they got married a few years after graduating high school. 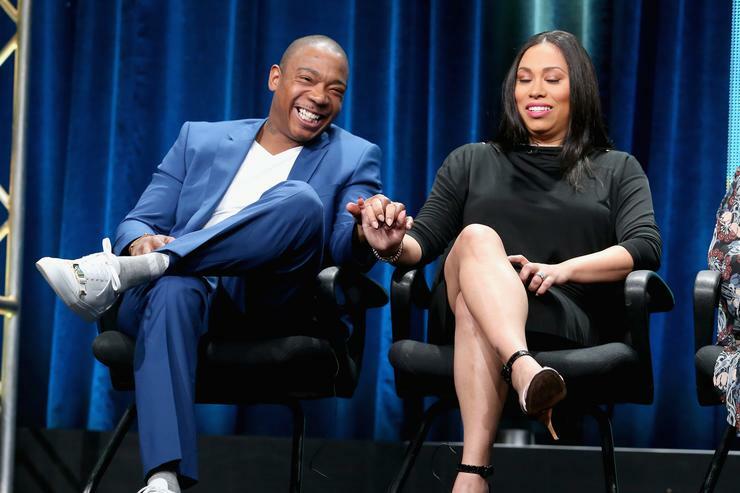 Ja Rule and Aisha have three children: a girl named Brittany, and two boys named Jeff and Jordan. There are many more celebrities who were high school sweethearts but these guys are the last on our list.